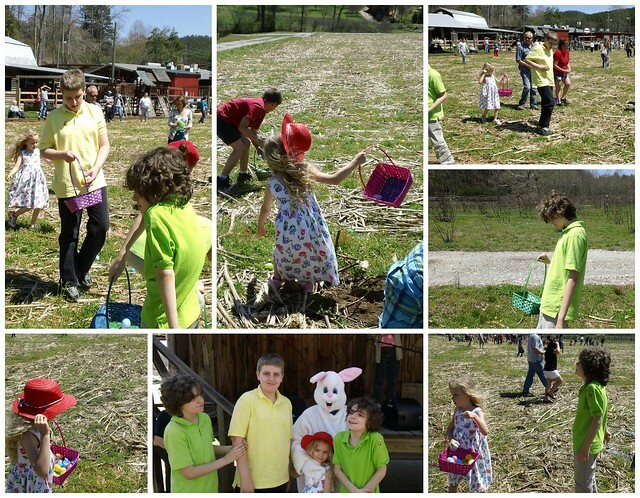 Finding a place to take our big guys who are really little guys to do an Easter Egg hunt becomes more of a challenge every year. Obviously mentally they aren't 10 years old, they need to do the hunt with the little kids who need help.They won't be running around knocking kids down and grabbing all the eggs. But explaining this to the throngs of parents encouraging their kids to GET EVERY SINGLE EGG POSSIBLE is exhausting. Also, we prescribe to the Auntie Mame philosophy that enough is as good as a feast and so we do NOT encourage that behavior. We found an egg hunt up north in the mountains (practically spitting distance of Tennessee) and I admit we were really delighted. 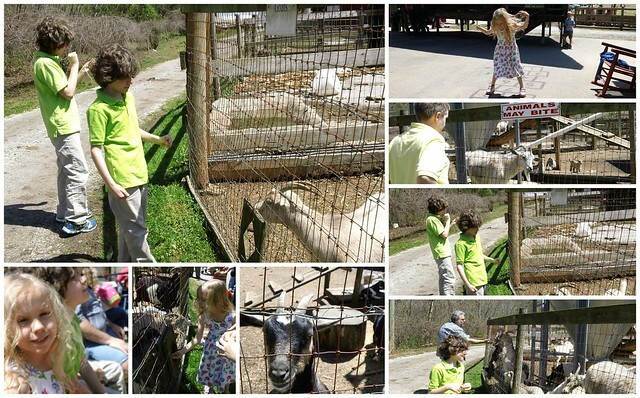 There was a hayride, and goats to feed,and a country store and a cafe. Country people do not have a proper understanding of what a "lot" of people are. The guy next to me told me there would be a lot of people. It ended up being about 100 kids for 6000 eggs. Seriously, that was like a DREAM. It was a calm wonderful experience out there in their plowed under corn maze. It made me really happy to be there it was so positive and friendly. There was also a gem mine and all the kids chose rocks (ok I chose some rocks too, I can't lie) and Louis panned for gems but alas we didn't find any. But it was fun regardless. And we got some cider and jellies for treats, plus some yummy fresh breads. 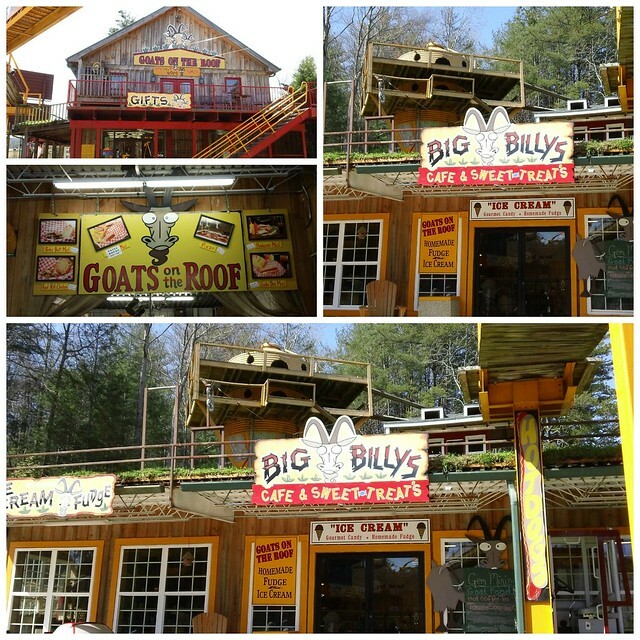 For lunch we went to a classic roadside attraction that I've ALWAYS wanted to go to - GOATS ON THE ROOF . It was everything I expected. A small diner with a limited menu but the food was REALLY tasty. But the real fun was to be had outside - MORE GOATS! 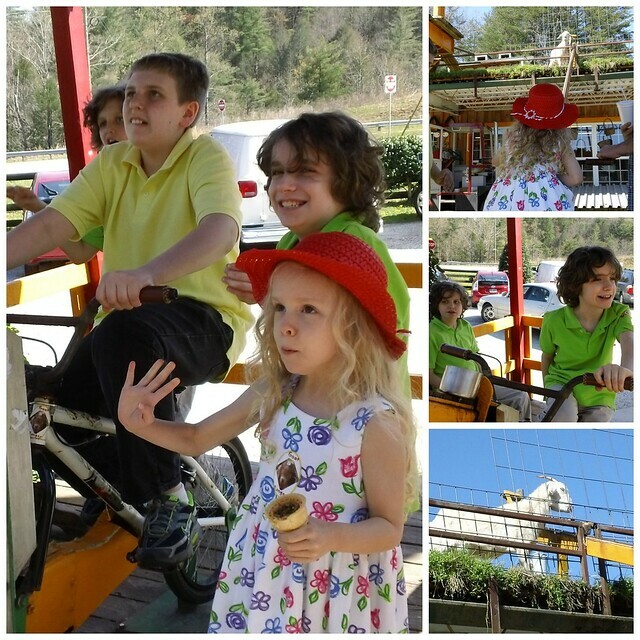 I am pretty sure the kids favorite part of the place was feeding the goats, you ride a bike that powers a chain to deliver your cone full of goatfeed up to the waiting goats on the roof. It was fairly ridiculous yet awesome in the way that this family loves. The twins thought it was a riot. There were other roadside attraction kind of things to sit on and ride and do there also. 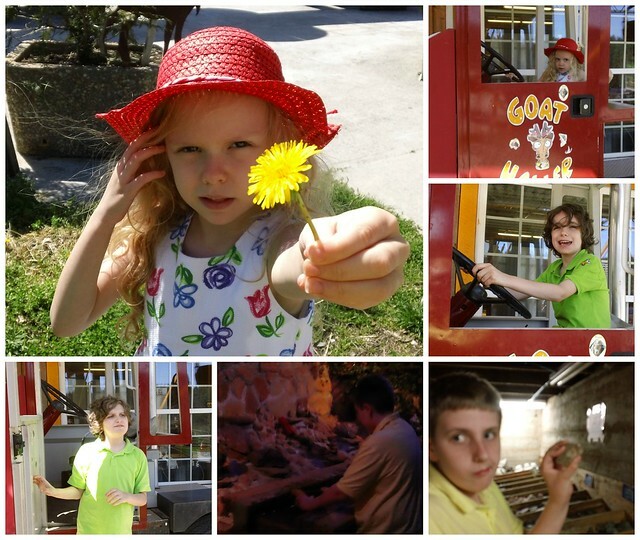 The panning pics are from the orchard. Sloppy editing Gidge! 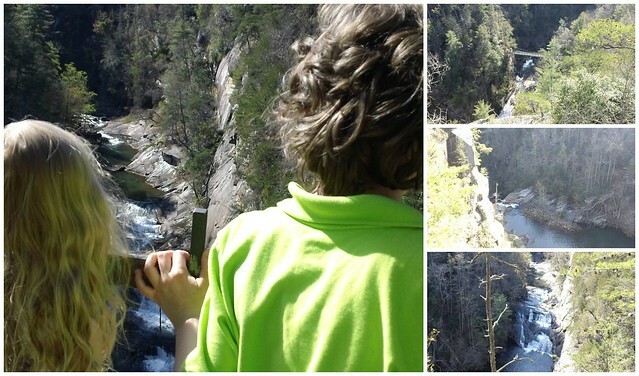 We decided we hadn't had enough activity, so we stopped at Tallulah Gorge on our way home. This is possibly one of the most beautiful things I've ever seen in my life. I'd like to go actually without my kids, as I spent most of my time making sure they weren't plummeting to their deaths. None of my photos do it justice at all. It was awe inspiring. I hear you can Kayak down it once a year - I would kind of like to do that. I've been kayaking and my experience is that I'm not that good at it. So we should make that "learn to kayak and then do it." One small source of stress while we were there (besides the possibility of plummeting to one's death, was that there were tons of dogs. Miles has recently developed an insane and uncontrollable fear of dogs. He shrieks and screams hysterically and literally climbs up me. Dog owners look at us like we're a bit nuts. We're considering our course of action on how we get him over this - some sort of therapy obviously, but it splits the air with my child's shrieks of terror and makes it hard to relax and enjoy places sometimes. We'll get through it, just another autism hurdle to cross. 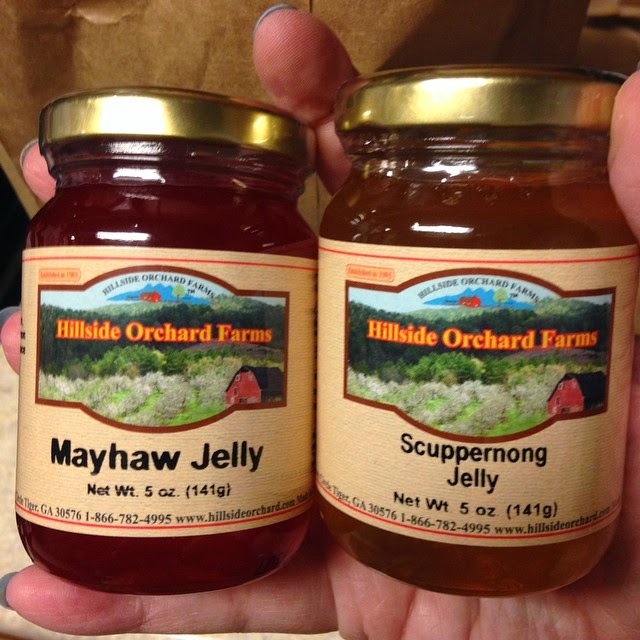 I'm kind of excited about trying the jellies we purchased, mostly the Scuppernong jelly. We bought the two because we weren't sure what the flavors were so hey why not, but that word was in my mind like I should know it. Obviously the scuppernong arbor is where Scarlet buries the dead Yankee she shoots in GWTW. Thank goodness Laura and Melissa remembered it and told me on FB! So, that really just makes this dead Yankee jelly now doesn't it?